You may typically think about using birch accessories in rustic decor but I like to also combine birch in some more chic decorating styles. 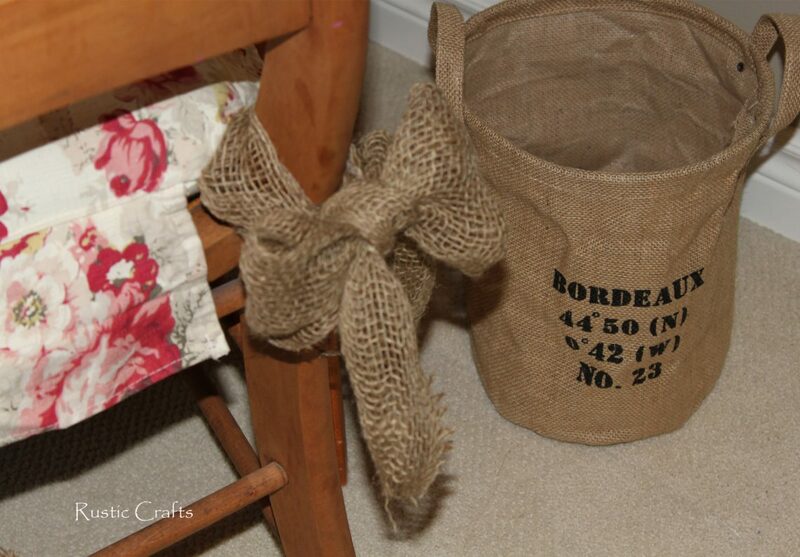 Even burlap and shabby old books pair well with flowers, crystal and soft colors. 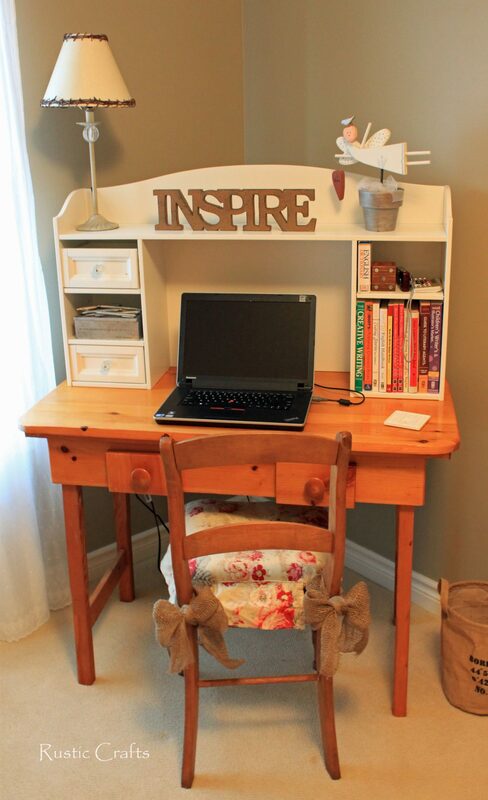 I just finished remodeling my home office space and combined all of the elements that I love into a great shabby chic, relaxing place to work. I started with a fairly neutral color on the wall. It’s called “garden wall” but it is basically a taupe color that makes a nice back crop for birch I think. 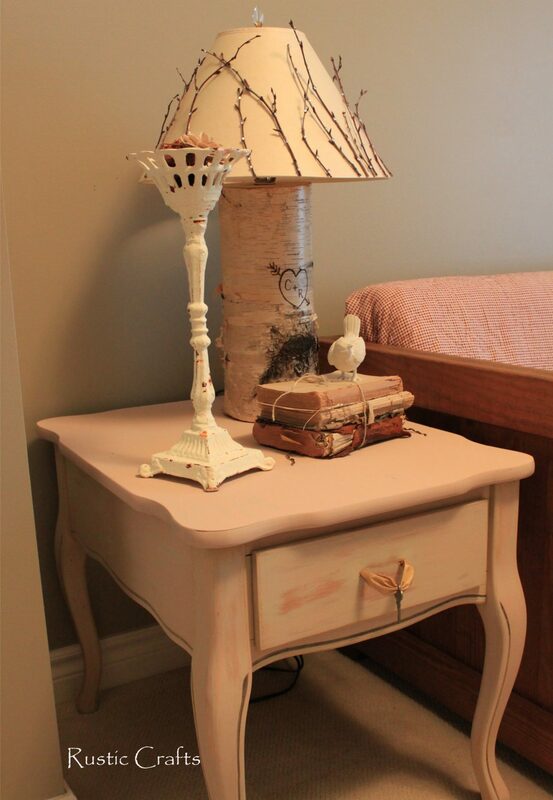 Since I love birch so much, I made sure to incorporate a couple of birch lamps and a birch birdhouse. I have a few more plans up my sleeve for a couple of additions too! You can see how the birch takes on a more chic look versus rustic when it is paired with a crystal finial on the lamp, along with some crystal embellishments on the birch twigs adorning the lampshade. Of course, the soft pink table top also lends to the look. Old books are also a great accessory to use in decorating. I was given some very old books, that used to me my grandpa’s. The covers were missing and the bindings were very loose. I loved the look of the pages though. 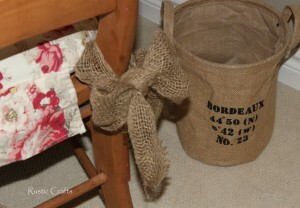 A few of the books stacked together and tied with a jute string make a great shabby decorating accent. Topped with a cute little bird and the look is complete! Combining burlap with a soft floral pattern is a perfect style for many women. It combines that natural, down to earth side of the personal with the softer more feminine part. The lamp at the top of the desk is another example of combining the two elements. The shade is made up of birch twigs woven around the top and bottom, with the lamp itself being more feminine in style. On the sofa I combined one burlap pillow with the floral pillows. 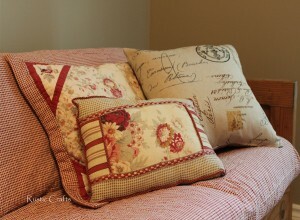 I used an old quilt to “slipcover” over the old cushion covers and held them in place with upholstery tacks. This gave a real comfortable soft look for the sofa. 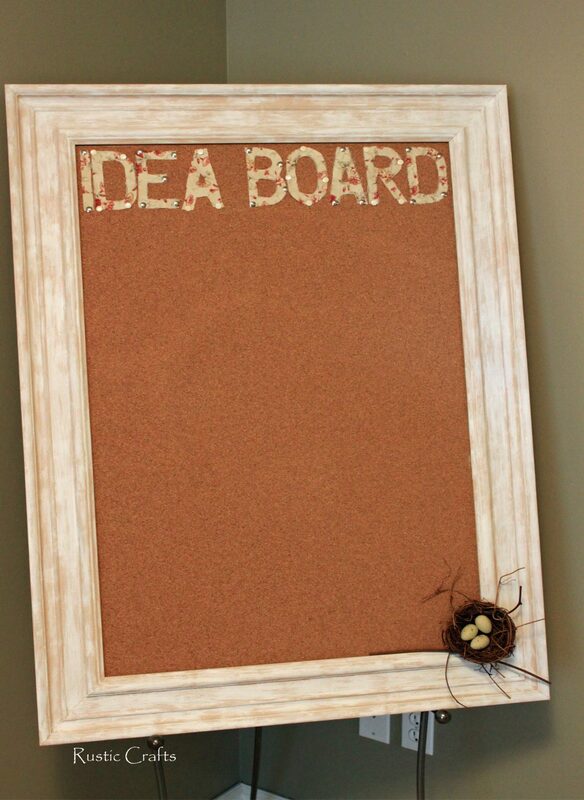 For my idea board, I cut out letters from floral fabric and I added a bird nest to the corner for a natural element. The frame of the board was painted with a dusty pink base and then I went over it with a white wash paint. Oh my gosh – all my favorite things; birch, burlap, books, birds!!! It all looks beautiful. 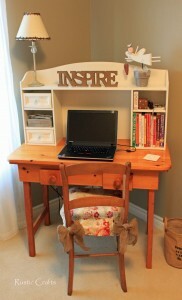 If you have a moment, I would love for you to share this project on my Inspiration Board. 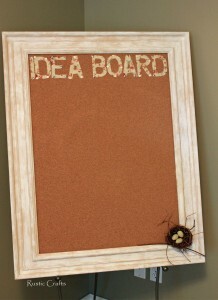 I just shared this project on your inspiration board!